From the time of Domesday Book this was uncul­tivated land, split between the manors of Battersea and Clapham. The poor quality of the soil protected it from exploit­ation at a time when neigh­bouring fields came under the plough. A windmill was erected in 1631 and horse racing took place here from 1674. Certain problems arose cyclically, mostly revolving around issues of ownership and respons­ib­ility for the common’s upkeep. The condition of the terrain was often allowed to deteri­orate to an overgrown and boggy state before improve­ments were made. Owners of houses bordering the common period­ically attempted to extend their properties onto the common land until legal measures forced them to retreat. In 1716 tensions over grazing rights erupted into a turf war when Battersea parish­ioners dug a boundary ditch bisecting the common. Clapham parish­ioners promptly filled it in. By the mid-18th century the common’s edges had become a favoured place to build one’s country retreat, especially on the north side. The Pavement divided the common from Clapham’s Old Town and the Plough and Windmill public houses were well-estab­lished. Mount Pond had been formed by the extraction of gravel. Holy Trinity church was built in 1776. At this time the common was still an important practical amenity for ordinary people, providing firewood and water, as well as pasture for livestock – and even a place to string out a washing line between two trees. These practices began to die out as more villas and insti­tu­tions (especially private girls’ schools) encircled the common. Sports clubs estab­lished themselves here, including Clapham golf club and Clapham Rovers football club. In 1877 the Metropolitan Board of Works acquired the common from the lords of the manors, bringing a bandstand here from South Kensington in 1890. Clapham became a popular place for day trips, with a classier reputation than the closest altern­ative common, at Kennington. 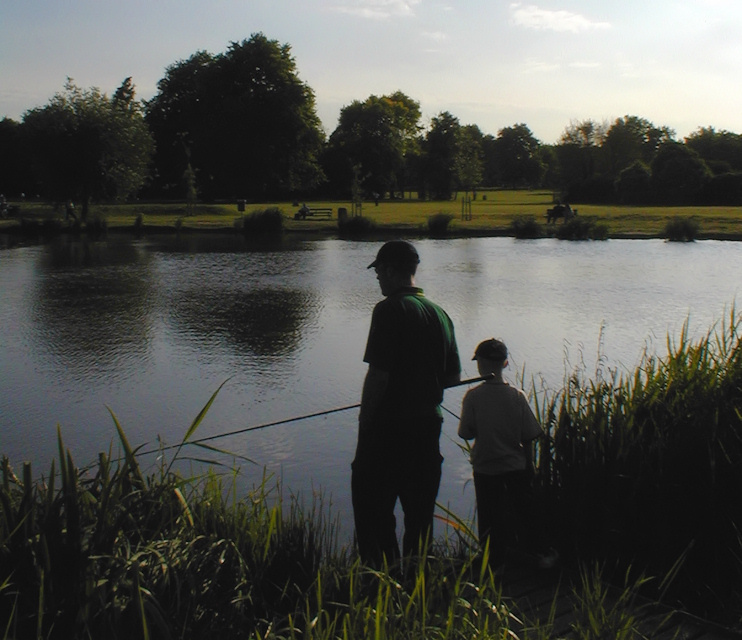 Shown in the photo below, Eagle Pond was used for boating but it is now one of the angling ponds, with reed beds planted at its edges. A group of houses replaced a grove of chestnut trees behind the Windmill Inn in the 1890s but the common’s integrity has otherwise been preserved. 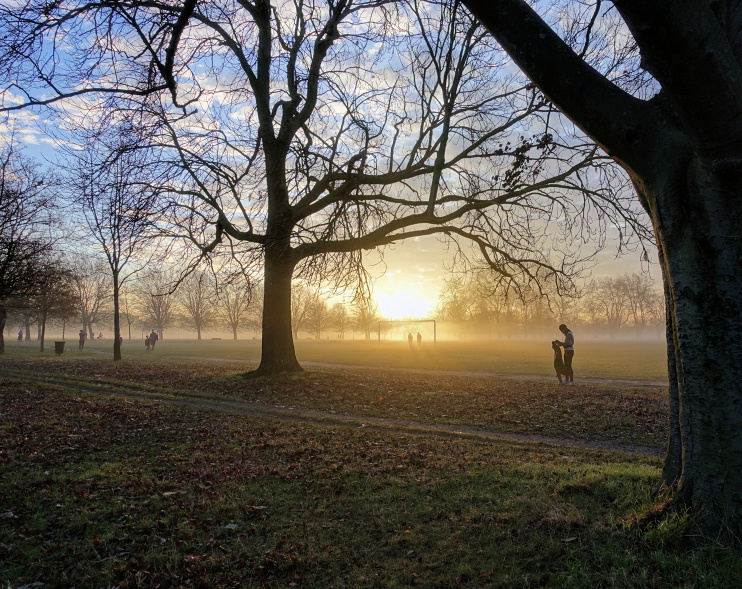 Clapham Common now has dozens of pitches for almost every kind of outdoor sport and is a regular venue for fairs, rallies and concerts. Benjamin Franklin conducted experiments in pouring oil on troubled water on Mount Pound. * The picture of Clapham Common at the top of this page is adapted from an original photograph at Flickr, copyright Leon Brocard, made available under the Attribution 2.0 Generic licence. Any subsequent reuse is freely permitted under the terms of that licence.